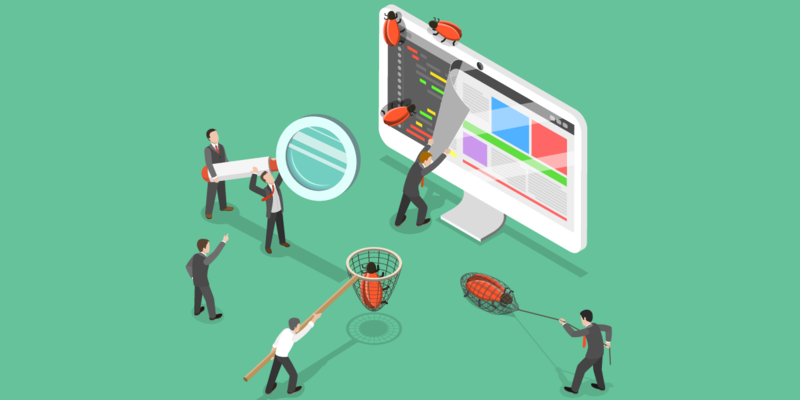 Human-readable tests make it easier for anybody to write tests, including stakeholders that may not normally be involved in the testing process. Tests can be created using the Robot Framework documentation and stored in a Git source control repository. 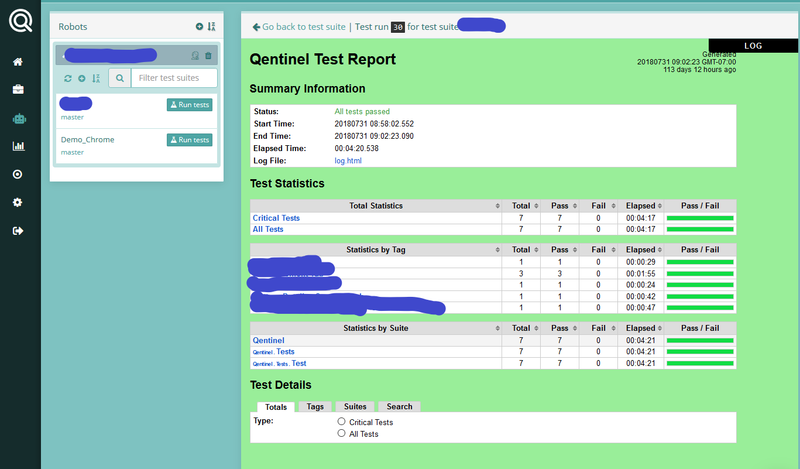 Qentinel Frontline can then be configured to read the tests from the repository and load them into the Frontline application. 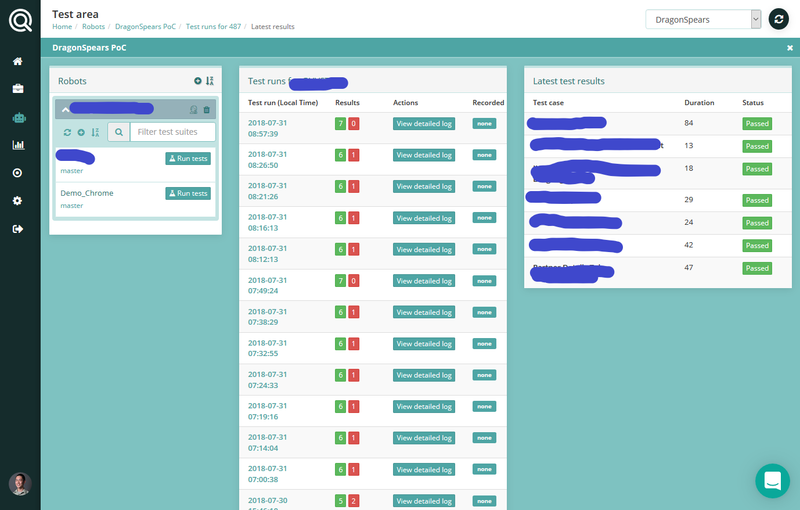 The following screenshot shows the test area where you can configure the different robots and the test runs and results that correspond to the selected robot. The history makes it easy to see when the tests were last run, how many passed/failed, and provides access to the detailed report. It also has a quick view of the previous test run, what was included in each test, the time it took to run, and the result. When clicking into the detailed test report, you’ll see additional categories and metrics, with options to drill into even more detail. The Insights screen provides widgets that visualize data to get a better view of recent trends. 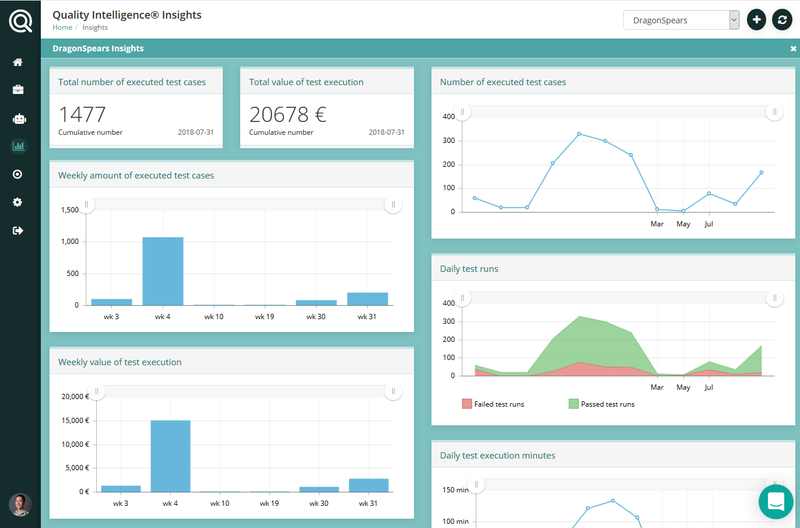 If your team is interested in benefiting from a cloud-based automation testing tool like Qentinel Frontline, contact us today!